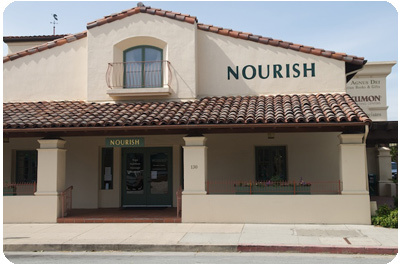 NOURISH yoga and wellness center is conveniently located in the heart of downtown Santa Cruz on the corner of Walnut Avenue and Cedar St. in the Spanish style Plaza de la Cruz. With on site parking and hundreds of additional public parking spaces within a one block radius of our facility, you won't have to worry about finding your car as you float out of our massage room or yoga studio in a blissful daze. 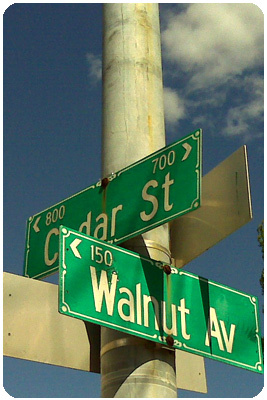 Outside of the wellness center you will find a delightful seated patio area perfect for enjoying the Santa Cruz sun and many of your favorite Santa Cruz restaurants and cafes located within walking distance of NOURISH.